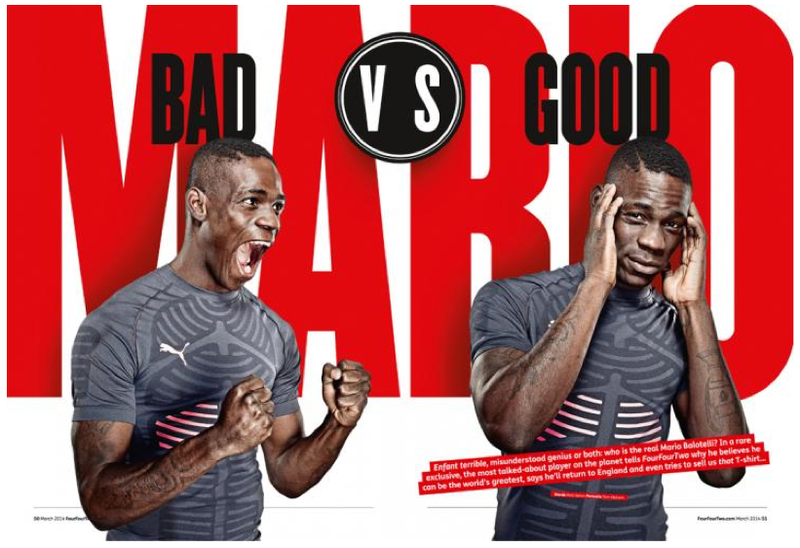 Mario Balotelli, photograhed in Milan for Puma/FourFourTwo. A truly memorable experience and happily, gladly, wonderfully, he was well up for the concept. He's an astonishing athlete physically and will hopefully achieve true greatness in the forthcoming World Cup. Shot on a Hassleblad H5D with Elinchrom Ranger packs, on location in Monza.